Well 'Teddy Bear' is certainly not lonely. There was a constant visitation to the wonderful vantage point on this lovely Sunday afternoon. The people I met had heard the radio interview, which piqued their fascination. 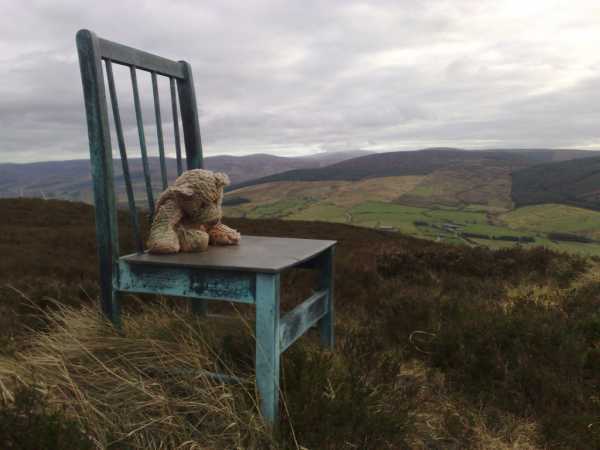 One person was a walker from West Wicklow who had never seen or heard of 'Teddy Bear' and Dan Clancy's chair. I can not think of a more memorable monument.